A talented Khaleeji designer and her creative work – have a look! Eid has already passed but I wanted to share a sample of her work which was done for me on the occasion of Eid Al-Adha. Jehan Abdulkarim is a marketing executive during the day, but she’s also an incredibly talented designer and photographer. I hope to share more of her work here with you, but for the meantime please do enjoy the below and let me know your thoughts! 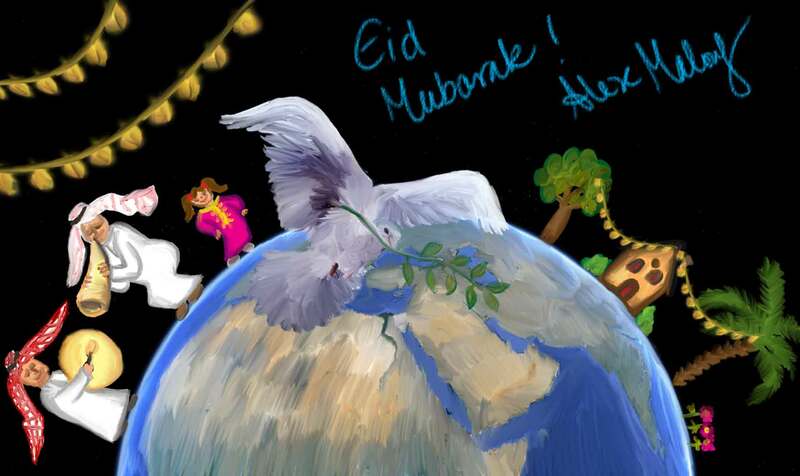 A greeting card for Eid created by my good friend Jehan Abdulkarim. This entry was posted in Bahrain, Culture and tagged creativity, design work, Eid greeting card, Jehan Abdulkarim, photographer, talent by alexofarabia. Bookmark the permalink.